Looking outside my window and watching the snow come down, I really wish I was back on vacation in California. 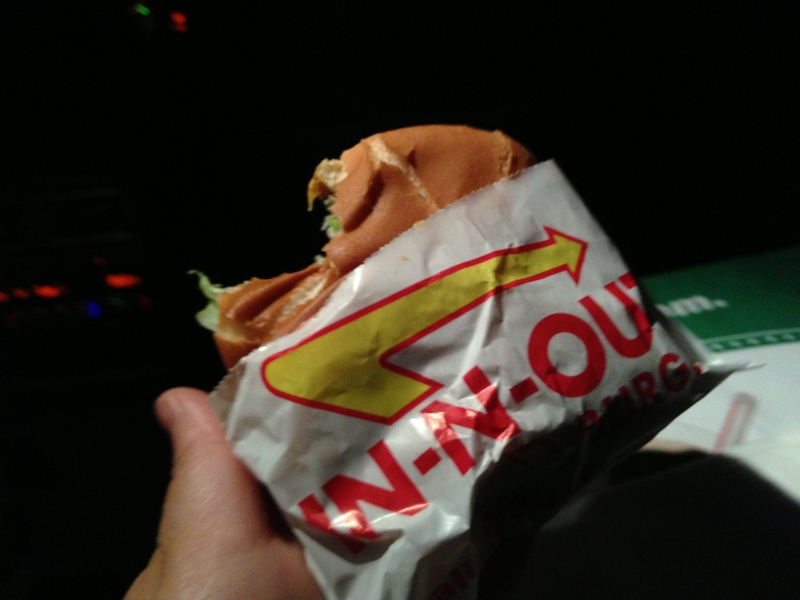 This was my first trip to the west coast of the US and having landed at 9pm, my colleague (I was here for a conference) and I were feeling pretty peckish. So you know it was the perfect opportunity to make a pit stop at California’s famous In & Out Burger. 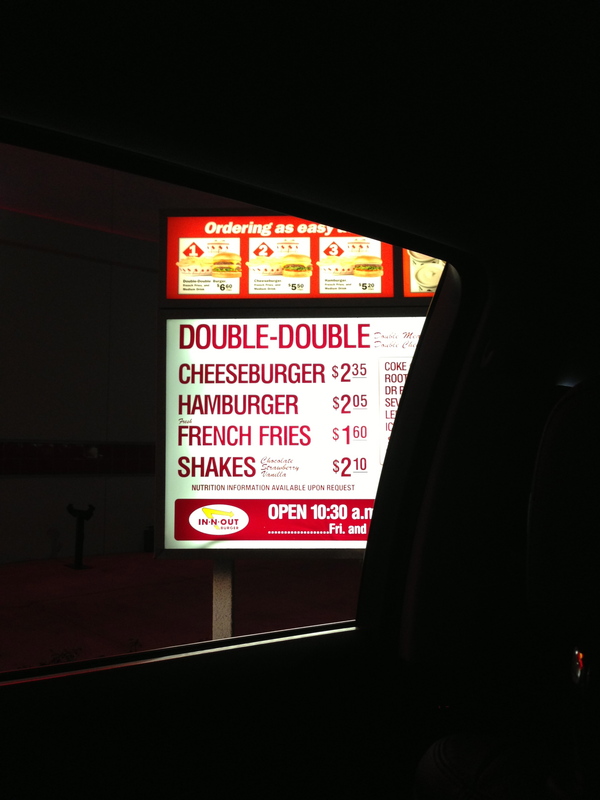 We were in a cab so drive-thru was the only option and its a good thing we did, when we pulled up to the window, our cab driver suggested I order “animal style fries”, a not-so-secret menu item. As soon as I hear non-menu well, that was it, I was going to order to it. 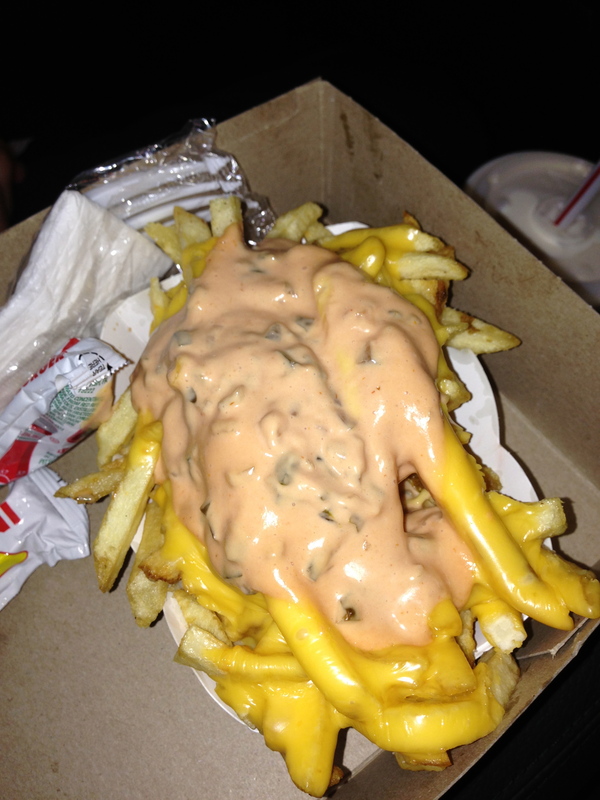 Animal style fries are composed of classic fries topped with cheese sauce and sauce – kind of like a version of poutine (which is better). Surprisingly, the burger was delicious! Topped with fresh lettuce, a thick slice of tomato, their “secret sauce” and what made it over the top was the toasted bun! Yes, the toasted bun! My guess is the bun is toasted with butter which gave the bun a crisp outer crust. A fast food joint definitely worth making a stop! 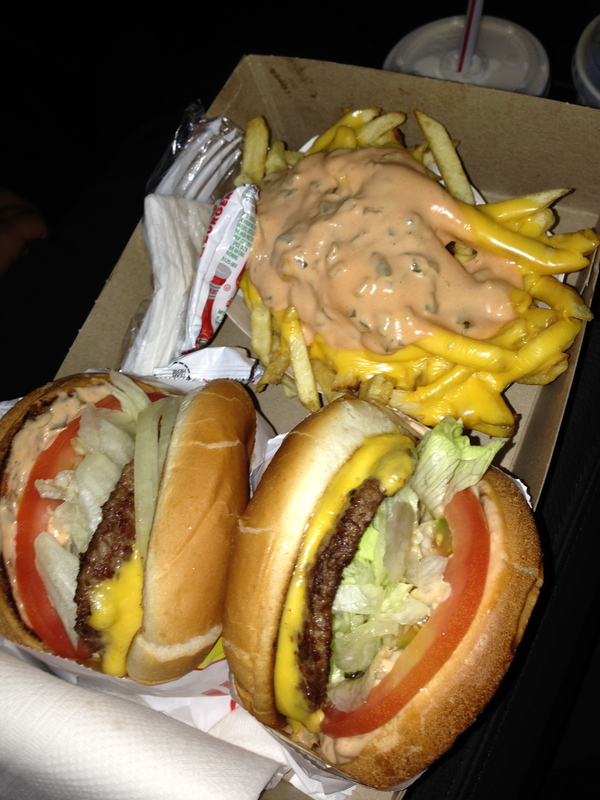 Our order of regular hamburgers and animal fries. 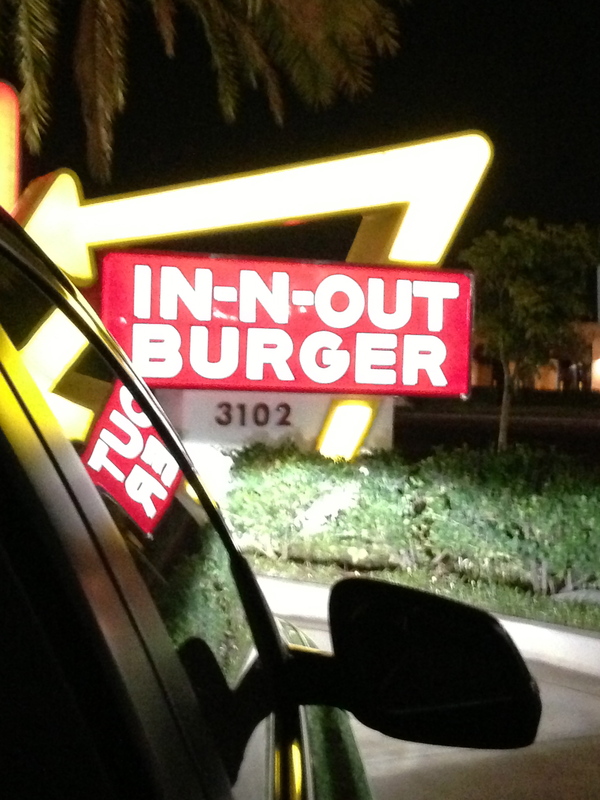 The infamous In & Out hamburger.